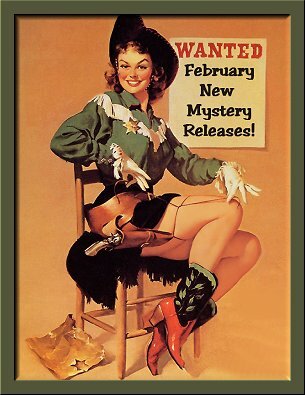 February 2012 New Mystery Releases! Having just returned from a very relaxing week down in Bisbee, Arizona, it seems as though January flew by even more rapidly than the previous months. What is there about vacation time that makes it go by so much quicker? Even though it seems impossible, it's time to gather up all the information about the books I'm looking forward to in February. I've already gotten my hands on a few of them, and let me tell you, there's some excellent reading to be found in the month ahead! As usual, the books are grouped by release dates, and I've included the information you'll need to find them at all your favorite book spots. Here's to a brand-new year of reading! Series: #5 Vera Stanhope set in East Yorkshire, England. Synopsis: "DI Vera Stanhope is not one to make friends easily, but her hippie neighbors keep her well-supplied in homebrew and conversation so she has more tolerance for them than most. When one of them goes missing she feels duty-bound to find out what happened. But her path leads her to more than a missing friend. It’s an easy job to track the young woman down to the Writer’s House, a country retreat where aspiring authors gather to workshop and work through their novels. It gets complicated when a body is discovered and Vera’s neighbor is found with a knife in her hand. Calling in the team, Vera knows that she should hand the case over to someone else. She’s too close to the main suspect. But the investigation is too tempting and she’s never been one to follow the rules. There seems to be no motive. No meaning to the crime. Then another body is found, and Vera suspects that someone is playing games with her. Somewhere there is a killer who has taken murder off the page and is making it real...."
Series: #2 in the Victoria Square series set in upstate New York. 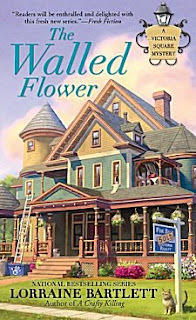 Synopsis: "If Katie Bonner's late husband hadn't invested all their savings in the crafts fair Artisans Alley, the Webster mansion could have been hers to remodel into a bed-and-breakfast. Instead that dream belongs to another young couple. But that dream becomes a nightmare when a skeleton is discovered sealed in the walls of the mansion. The bones belong to Helen Winston, who went missing twenty-two years ago. Heather's aunt, a jewelry vendor at Artisans Alley, asks Kate for help finding her niece's murderer. 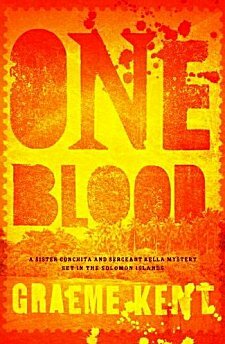 The case may be cold, but the killer is very much alive-- and ready to go to any lengths to keep past secrets buried...."
Series: #2 in the Ben Kella and Sister Conchita series set in the 1960s Solomon Islands. Synopsis: "Once again, Ben Kella has his hands full. 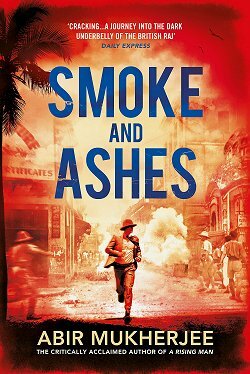 A sergeant in the Solomon Islands Police Force, as well as an aofia, a hereditary spiritual peacekeeper of the Lau people, he’s called to investigate acts of sabotage that threaten the local operations of a powerful international logging company. Meanwhile, Sister Conchita, a young nun with a flair for detection, has been forced to assume command of a run-down mission in the lush Western District of the Solomon Islands. 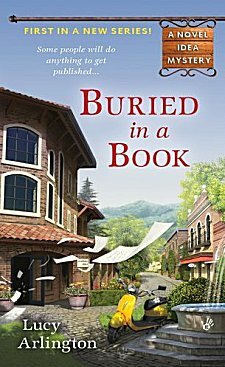 When an American tourist is murdered in the mission church, she and Kella join forces to uncover the links between these goings-on and a sudden upsurge of interest in John F. Kennedy, who was once a wartime U.S. naval officer in the area but now, in 1960, thousands of miles away, about to become the thirty-fifth American President. Set in one of the most beautiful areas of the South Pacific, One Blood is the second entry in an exciting new series." 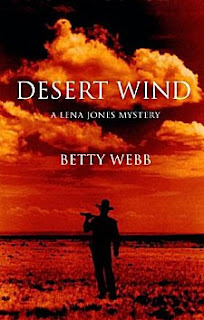 Series: #7 in the Lena Jones Private Investigator series set in Arizona. Synopsis: "When P.I. Lena Jones’s Pima Indian partner Jimmy Sisiwan is arrested in the remote northern Arizona town of Walapai Flats, Lena closes the Desert Investigations office and rushes to his aid. What she finds is a town up in arms over a new uranium mine located only ten miles from the magnificent Grand Canyon. Jimmy’s sister-in-law, founder of Victims of Uranium Mining, has been murdered, but the opposing side is taken hits, too. Ike Donohue, the mine’s public relations flak, is found shot to death, casting suspicion on Jimmy and his entire family. During Lena’s investigation, she finds not only a community decimated by dangerous mining practices, but a connection to actor John Wayne and the mysterious deaths resulting from the 1953 filming of “The Conqueror.” Gabe Boone, a wrangler on that doomed film, is still alive, but the only person the aged man will confide in is John Wayne’s ghost. It’s up to Lena to penetrate Gabe’s defenses and find out the decades-old tragedy no one in Walapai Flats wants to talk about. By delving into the area’s history, Lena learns that old sins never die; they’re still taking lives. As with “Desert Wives: Polygamy Can Be Murder,” this seventh book in the Lena Jones series exposes real life crimes, and the reason why high-ranking government officials want those crimes to remain under wraps." Series: #3 in the Haunted Guesthouse series set in New Jersey. 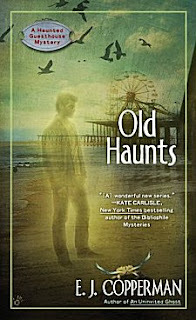 Synopsis: "The ghosts haunting Alison Kerby's Jersey Shore guesthouse are sad. Maxie wants to know who murdered her ex-husband, and Paul pines for his still-living almost-fiancee. The only one who isn't missing her ex is Alison-- because The Swine just arrived on her doorstep...."
Series: #1 in the Novel Idea series set in North Carolina. 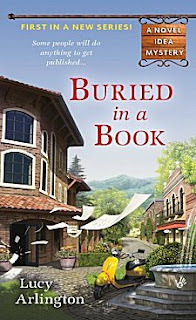 Synopsis: "After losing her job as a journalist at the age of forty-five, Lila Wilkins accepts an internship at A Novel Idea, a thriving literary agency in North Carolina. Being paid to read seems perfect to Lila, although it's difficult with the cast of quirky co-workers and piles of query letters. 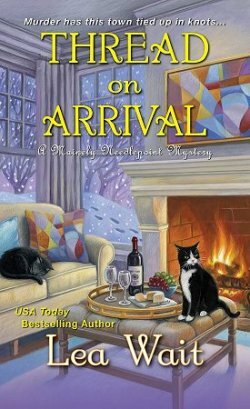 But when a penniless aspiring author drops dead in the agency's waiting room-- and Lila discovers a series of threatening letters-- she's determined to find out who wrote him off." Series: #14 in the Kincaid and James series set in England. Synopsis: "When a K9 search-and-rescue team discovers a woman's body tangled up with debris in the river, Scotland Yard superintendent Duncan Kincaid finds himself heading an investigation fraught with complications. The victim, Rebecca Meredith, was a talented but difficult woman with many admirers—and just as many enemies. An Olympic contender on the verge of a controversial comeback, she was also a high-ranking detective with the Met—a fact that raises a host of political and ethical issues in an already sensitive case. To further complicate the situation, a separate investigation, led by Detective Inspector Gemma James, Kincaid's wife, soon reveals a disturbing—and possibly related—series of crimes, widening the field of suspects. 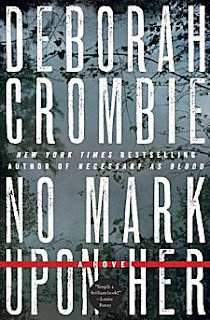 But when someone tries to kill the search-and-rescue team member who found Rebecca's body, the case becomes even more complex and dangerous, involving powerful interests with tentacles that reach deep into the heart of the Met itself. Surrounded by enemies with friendly faces, pressured to find answers quickly while protecting the Yard at all costs, his career and reputation on the line, Kincaid must race to catch the killer before more innocent lives are lost—including his own." Series: #3 in the Ghost of Granny Apples series set in California. Synopsis: "When overbearing, ultra-rich Joanna Reid demands that Emma Whitecastle get rid of the ghost of her late husband Max, a former action film star who was killed in a car accident, Emma intends to refuse. But when Joanna reveals that she thinks Max killed himself, Emma decides to help find out why the film star’s spirit has returned. Joanna may know more than she lets on, including why Lainey, her daughter with Max, has attempted suicide multiple times. 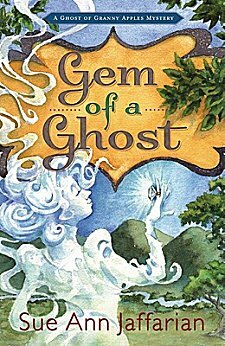 Emma and Granny Apples have their “nosing about” work cut out for them in this multi-faceted, ghost-filled mystery." Series: #2 in the Detective Inspector Irene Huss series set in Goteborg, Sweden. Synopsis: "Irene Huss is a former Ju-Jitsu champion, a mother of twin teenage girls, the wife of a successful chef, and a Detective Inspector with the Violent Crimes Unit in Goteborg, Sweden. 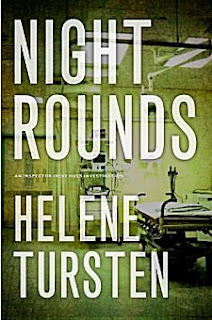 One nurse lies dead and another vanishes after their hospital is hit by a blackout. The only witness claims to have seen Nurse Tekla doing her rounds, but Nurse Tekla died sixty years ago. 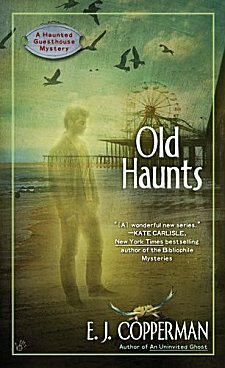 Detective Inspector Irene Huss of the Violent Crimes Unit has the challenge of disentangling wandering ghosts and complex human relationships to get to the bottom of this intriguing case." Series: #3 in the Inspector Pekkala series set in Stalinist Russia. Synopsis: "It is 1939. Russia teeters on the verge of war with Germany. It is also on the brink of bankruptcy. To preserve his regime, Stalin orders a search for the legendary missing gold of Tsar Nicholas II. For this task, he chooses Pekkala, the former investigator for the Tsar. To accomplish his mission, Pekkala will go undercover, returning to Siberia and the nightmare of his own past, where he was once a prisoner in the notorious Gulag known as Borodok. Pekkala must infiltrate a gang of convicts still loyal to the Tsar who, it is rumored, know the whereabouts of the precious gold. He soon learns that the best-kept secrets are those that no one even knows exist. 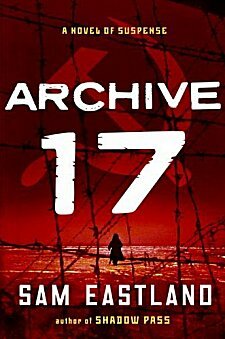 In the brutal frozen fortress where his survival once made him a myth, he begins to unravel the true identity of a murdered inmate, whose own mission to Siberia has lain buried for years deep within the mysterious Archive 17, where long-lost files obscure a shocking conspiracy that could decide the future of the Soviet Union itself. As more people die around him, Pekkala must decide where his true loyalties lie, or else take his place among the dead. 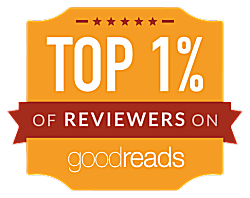 With the superb research and stunning suspense that are his trademarks, Sam Eastland delivers his most powerful Pekkala novel yet—the best in a mystery series riveting readers and reviewers alike." That's it for this month! Have I tempted you with any of these titles??? Wow... that's an excellent load of books! I haven't read any of the Vera Stanhope books but have seen the TV series and love them. 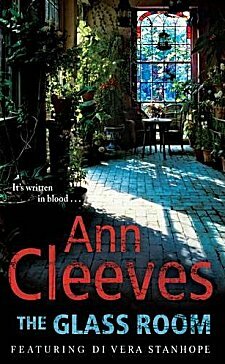 I also love Ann Cleeves' 'Jimmy Perez' books set in The Shetland Isles. Have made a note of some these series which I don't know but sound good... the Lena Jones books set in Arizona for instance and the Hanted Guesthouse ones. I love Cleeves' Stanhope and Perez books! Webb's Lena Jones series is one of my favorites-- excellent not only for story and character, but she nails the Phoenix metro area. The Haunted Guesthouse series is very funny. Even though I'm slightly behind in reading the Stanhope series, I'm excited about The Glass Room, too. And I'm right in the middle of reading Night Rounds. It is indeed a wonderful month for books! I'm looking forward to almost all of these - well, let's be honest - all of them. Yea!! Let the reading games begin! Anxious to read Archive 17. Pekkala is a fav. Pekkala is a favorite of mine, too. I used to avoid any book that had anything to do with Stalinist Russia, but not after reading the first two books in this series! Yummy...such tempting delights. I've not read any of these authors. I can see that I am going to have to rectify that soon. I did hear Betty Webb at the Tucson Festival of the Book last year, tho. Now I should just buckle down and start reading....Oh darn, I have to go to work! PS - Glad that your anniversary trip was fun. Welcome back. 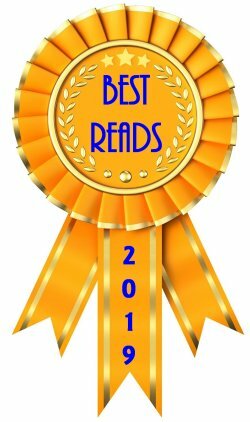 Lots to add to my TBR - thansk for sharing them!